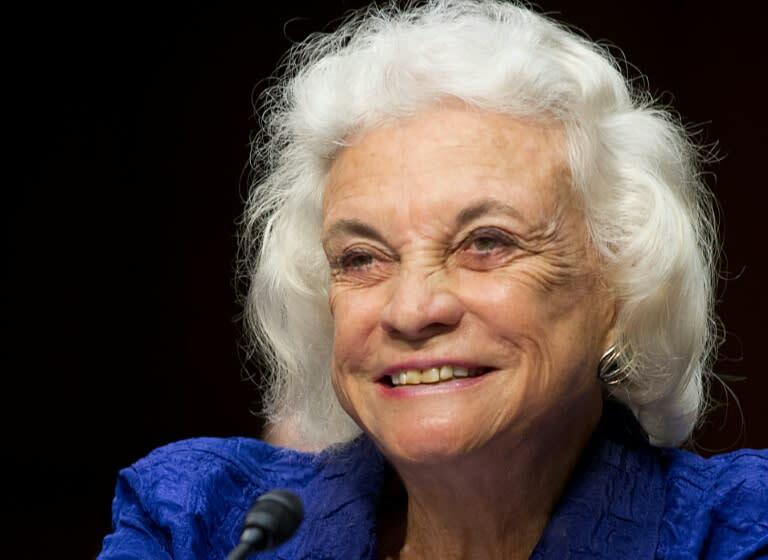 Retired US Supreme Court justice Sandra Day O'Connor, the first woman to serve on the high court, announced Tuesday that she is battling dementia -- and probably Alzheimer's disease. O'Connor, 88, said that as her condition has progressed, it means she is "no longer able to participate in public life" which -- since her retirement 12 years ago -- has focused on civics education. "Some time ago, doctors diagnosed me with the beginning stages of dementia, probably Alzheimer’s disease," O'Connor said in a statement sent to AFP by the Supreme Court. "I will continue living in Phoenix, Arizona, surrounded by dear friends and family," she said. O'Connor was nominated to the court by Republican President Ronald Reagan and she took her seat in September 1981. She announced her intention to retire in 2005 and formally left the court in January 2006 to take care of her husband, who suffered from Alzheimer's disease. O'Connor was a moderate conservative and often played the role of swing vote, notably in 2000, when the court ruled to end all challenges to the election of George W. Bush as president over Democrat Al Gore. She voted with the liberal-leaning justices to defend the right to have an abortion. Since her retirement, she has been active with her non-profit organization iCivics, which aims to help forward civics education using online games and school programs. "I feel so strongly about the topic because I’ve seen firsthand how vital it is for all citizens to understand our Constitution and unique system of government, and participate actively in their communities," she said in her statement Tuesday. "I can no longer help lead this cause, due to my physical condition," she added, calling on private citizens, local and federal governments to create a "nationwide civics education initiative." O'Connor said she could never have imagined as a "young cowgirl from the Arizona desert" that "one day I would become the first woman justice on the US Supreme Court." "I hope that I have inspired young people about civic engagement and helped pave the pathway for women who may have faced obstacles pursuing their careers," she said. There are currently three women on the nine-member Supreme Court: Ruth Bader Ginsburg, Sonia Sotomayor and Elena Kagan.